Melissa Moore wants to move beyond traditional ways of describing and solving social problems. Her two related initiatives, Y-LLEAD and Holistic Design Village, weave together many aspirations: education, business development, community healing. Connecting all of it is Moore’s desire to transform Baltimore’s most challenged neighborhoods by realizing their untapped potential. In Moore’s vocabulary, a key phrase is “community activation,” which implies that reserves of energy and ability exist even in places that seem depleted. The challenge for Moore — what lies at the heart of her initiative — is to “activate” that potential, so that neighbors work together to discover the resources within themselves to create change. I’m really interested in creating new language for things where former language doesn’t quite work. 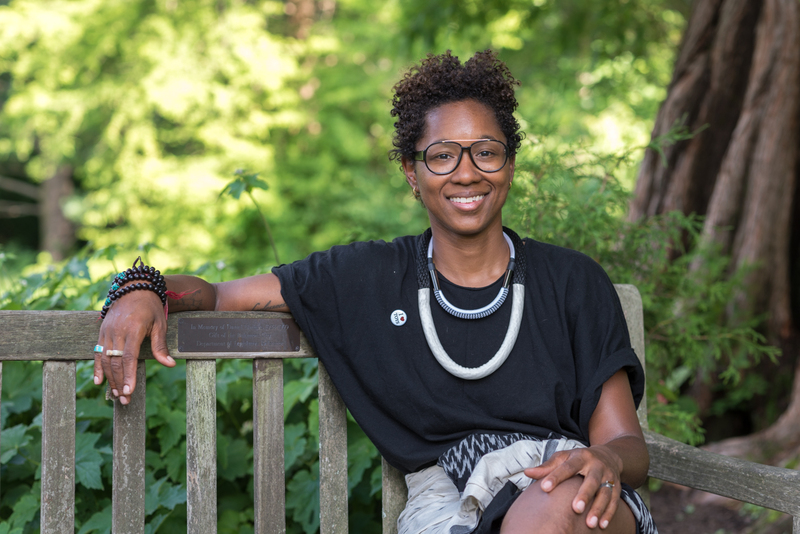 “What activation looks like, for me, is creating human space for communities where there hasn’t been much interaction, much connection,” Moore says. “It’s facilitating a process of self-sufficiency and interconnectedness in a more intentional way.” Places as well as people can be “activated” — for instance, by transforming an unused vacant lot into a multi-purpose community space for things like recreation, education, and growing food. Moore’s related project, the Holistic Design Village, aims to train young adults ages 18-25 in product design skills such as wood turning, woodworking, textile design and weaving. Another important aspect of the program is its emphasis on cooperative economics, so that students consider not just their own needs but those of the larger community. Moore’s background — she grew up in poverty, spent part of her youth in a “really nice” orphanage and at other times was homeless — instilled in her a drive to help young people heal and overcome difficult circumstances.